We will Consciously Connect our Breath (breath in and out, without pause) to TRANSFORM and Connect to Life Force Energy! There is an entire system within you designed for your transformation! Find resolution for deep, hidden emotional snags – this release can be joyful and loving! Your awareness of all Life and the exponential growth when Life Force Energy moves through you with the Breath is the cheapest, richest therapy on this planet. Breath! Breath with intention in a group dynamic: awesome! Paul Scott is a Transpersonal Counselor and is qualified to meet you in the realm beyond (“trans”) the physical! Paul started his love affair with yoga and breath over 40 years ago! Shown the power of breath through a transpersonal experience at 17, Paul has completed many years of training in breath and other alchemical techniques through Clearmind International, Rhodes Wellness College and Context Associated International. Paul is a deep seeker and it is his life’s passion to share with others the joyful road to connection and transformation and a life well-lived. Kathie Scott is a Quantum Bio-Feedback Technician and a Certified Health Coach. She developed her love of mudra, mantra and the breath during Kundalini Yoga Teacher Training at Yoga West Vancouver and Hatha Yoga Teacher Training with Shakti Mhi in Bali. 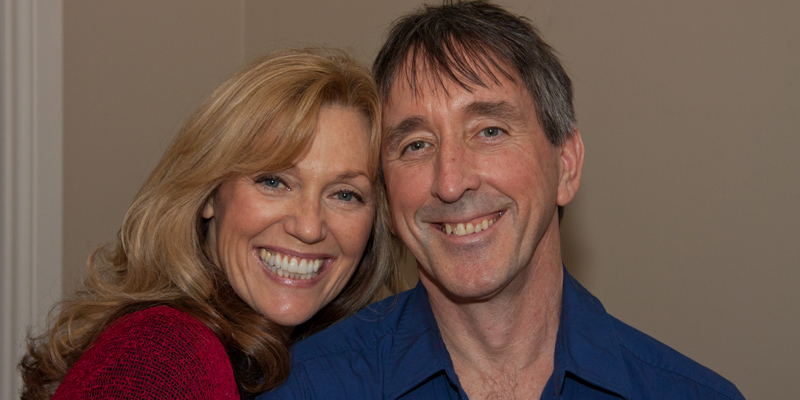 Both Paul and Kathie became Oneness Trainers during an epic journey to India during December 2012. The breath and breathing of all the body’s systems, especially the Chakra system, is a pivotal piece of the Oneness Awakening Course (December 5, 6 and 7, 2014 at BE). “At Quantum Life, we believe that wellness begins at the subtle or energetic level, and so we have trained in stress reduction modalities that effectively support management of pain, and enhance quality of life, through the detoxification and/or “de-stressing” of the body, mind, emotions and spirit. “Quantum Physics is proving that everything in the physical manifestation is built upon a matrix of subtle energy that seems to be controlled by consciousness. And that vibrations of any kind produce energy but are not energy – they produce energy – and so the world of vibration is therefore the “parent” of the world of energy. “Now without energy, our body would cease to function – our body lives within a field of energy and is filled with a matrix of electromagnetic energy. Everything is energy – vibrating at a frequency that “creates” on the physical plane, and our bodies are no exception to this rule! What we vibrate dictates what we “become” – therefore, is our frequency high or low, well or dis-eased? “What if you could raise the vibration of your physical and subtle bodies and remove the stressors that hold you within a “vibrational range” of dis-ease? “In a non-invasive intervention of dis-ease, do not disturb the body, but go to a higher level of cause, to effect change – there are measurable, non-physical correlates in the energy field that belongs to every physical state, and it is here that changes can be made in the gentlest manner with the maximum response. Please visit the Quantum Life Wellness website for more information.